Summary: Bell Sports has introduced a new fitting system for some of their helmet models, called True Fit. It reduces strap adjustments to just the neck strap. We like the concept, and initial fittings show that it works reasonably well on most riders. You can still get a better fit with fully adjustable straps if you are willing to put in more adjustment time. Bell Sports announced on March 10, 2009 that it was introducing a new helmet fitting system on a few inexpensive Bell models. The new system is initially available only for certain models in Bell's discount helmet line. Models included are the adult Radar/Adrenaline/Bellisima, the youth Aero and Blade, and the child Racer and Rex. We found samples on the shelves of our local Wal-Mart for $17 in the toddler version and $22 in youth or adult sizes. The new models have plastic strap anchors integrated with a fitting ring that cradles the head. The straps are permanently fixed where they join below the ear, and there is no length adjustment on the sides. This means there is no adjustment to center the strap junction under the ear. The system relies partly on an elasticized band that connects the side straps in the rear just under the occiput (that little round bump on the back of most heads). It serves as a rear stabilizer and brings the side straps together to aid the fit. The plastic fit ring/strap anchor piece in effect brings the strap anchor points lower and in closer to the lower jaw, making adjustments less critical. The only adjustment the user makes is the length of the chin strap. That reduces the complexity of fitting a helmet substantially. We have verified that the new system works reasonably well for at least some head shapes. On a few heads it was as good as a well-fitted fully adjustable retention system. On most heads it gave a reasonably good fit, with more side-to-side movement than is optimal and perhaps an extra inch of forehead showing when pushed back with the heel of the hand. A number of users commented that the fit felt good on their heads. The buckle has an anti-pinch tab. That's important for toddlers, who may remember forever if a parent pinches their neck skin. It's also useful for seniors and others whose neck skin is not taut. 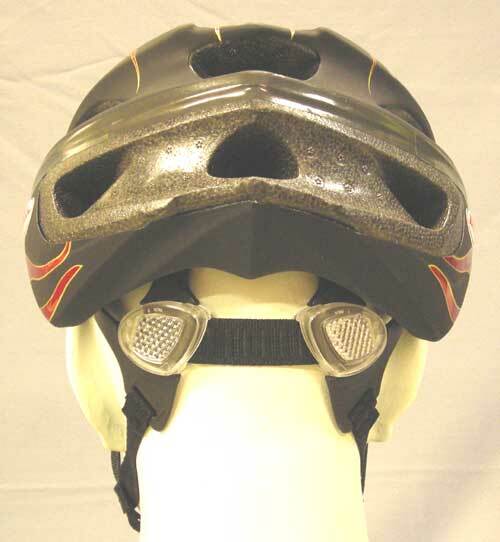 One added feature is that each True Fit helmet has two small thumbprint-sized patches of reflector in the rear. The new system will reduce what we call "strap creep," slippage of the straps over time through the plastic buckles on the sides. But the chin strap can still loosen. Bell provides a little black rubber o-ring on the strap behind the buckle to hold the flapping strap end. We suggest you snug that o-ring up behind the buckle when you have it adjusted to prevent the strap from loosening over time. 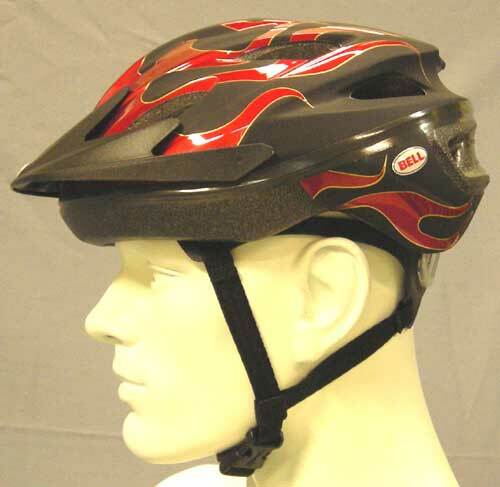 The resultant fit does not equal that of a well-adjusted helmet with traditional straps. But few users take the time to adjust carefully, so it will probably result in fewer very poorly adjusted helmets on the road. The lack of adjustability of the new system means that users should try it on in the store to see if their head is compatible. If not, they have to look for another helmet. In use, there were some drawbacks. Since there is only the chin strap to adjust, and much depends on it, it must be adjusted well. But the buckle still has the old loopthrough path that requires unbuckling, adjusting and rebuckling about three times to get the length right. Most users gave up before actually optimizing the length of the strap. We think Bell missed a good opportunity by not redesigning the buckle adjustment. 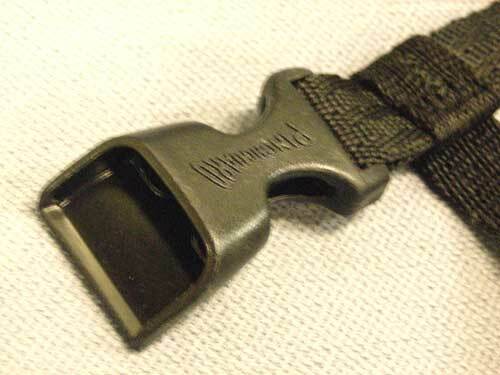 The buckle tab is rigid plastic, and adds length to the buckle. 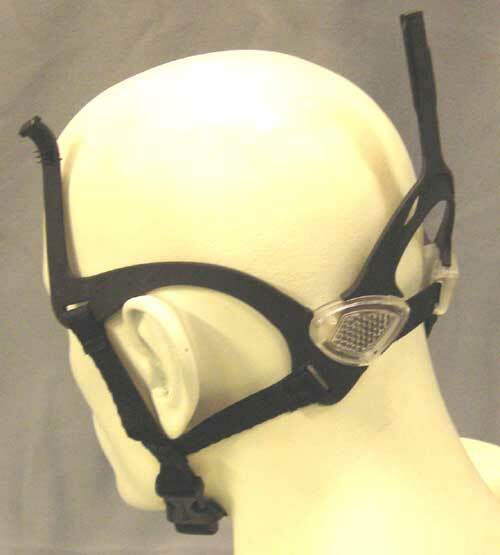 Couple that with the inability to change the placement of the buckle on the strap, and it is possible that some riders may find that the buckle hits their jawline and is therefore unwearable. We did not find that in any of our test subjects. But the buckle can still pinch loose skin and for some riders was more difficult to fasten than a standard buckle. Since the motion to fasten it is slightly different, it helps to buckle and unbuckle the strap a few times before putting the helmet on. Bell's instructions are too long, and include unnecessary instructions for other models with older retention systems requiring more steps. It takes longer to decipher the instructions than to adjust the chin strap. Most consumers will not read the instructions anyway, but Bell missed a chance to simplify the instructions along with the fit system. Bell's higher end models sold at bike shops do not have the new system yet. Dealers can be expected to react badly when Wal-Mart has the new advance at a price that is less than their dealer price on the Bell models they sell. We think that True Fit helmets will be very useful for people who trade helmets around between riders, rental establishments, riders doing quick test rides at stores and any group handing out large numbers of helmets at an event. The system permits any volunteer to fit helmets quickly with minimal training. All you need is the patience to make sure that the neck strap is very well adjusted. And a second model you can use for anyone whose head is not compatible with True Fit. Fitting helmets well is the next frontier in improving helmet effectiveness. We have been asking manufacturers for years to improve their fit systems, and particularly to develop a system that does not require long minutes of fiddling and lots of patience to achieve a good fit. Occipital stabilizers help, but can't take the place of a properly adjusted strap. This is an important step in the right direction. Other manufacturers tell us they are working on similar systems now, and competition will bring more advances. Bell has a Web site to promote the system. Here is the first article we have seen on it by AP's Michelle Locke, an alert reporter who understood the significance of easier helmet fitting. In October of 2009 we saw the first sale ad featuring True Fit helmets, in a circular from Toys R Us. They were offering $4 off the cost of a Blade or Rex helmet.